Many investors pay a lot of money for magazine subscriptions, newsletters, and other research to try and determine the direction of the economy. In truth, most of these could probably be replaced by the ownership of just one railroad stock. I’ve argued in the past that railroad earnings reports are like a multi-industry cheat sheet. 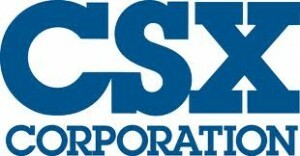 One example is CSX Corporation (NYSE:CSX), which gives investors great information about the economy as a whole. The even better news is, CSX is getting itself on track for gains in the future. While competitor Norfolk Southern Corp. (NYSE:NSC) hasn’t reported yet, both Union Pacific Corporation (NYSE:UNP) and CSX have. Between these two companies, we find several interesting pieces of economic news. First and foremost, coal may be on the rebound. Each of the big three railroads have been reporting declines in coal volumes. These declines have been particularly damaging to both CSX and Norfolk Southern. However, in the last three months, CSX saw a decrease in coal shipments of 10%, which was only slightly worse than the 6% decline reported by Union Pacific. CSX Corporation (NYSE:CSX) attributed this drop to utility stockpiles that are still above target levels, and weakness in Europe. However, with the decrease in coal volumes over the last several quarters, it’s possible utility stockpiles are getting closer to normalized levels. While Union Pacific outperformed CSX, this significantly better coal performance is maybe the main reason to consider buying CSX stock. The company relies heavily on coal shipments, and if industry conditions improve, CSX stands to benefit. In other areas, a concern for oil companies should be the significant decline in agricultural volumes. CSX saw a decline of 12% in agricultural volumes and Union Pacific Corporation (NYSE:UNP) reported a decline of 9%. CSX suggested this was related in part to a “reduction in gasoline demand.” On the flip side of this coin, demand for chemicals was up significantly, and ironically this was tied to, “crude, gas, and frac sand demand.” With CSX showing an 11% increase in chemicals volume, and Union Pacific reporting a 14% increase, it’s a good bet the natural gas industry will continue to do well. Famed investor Peter Lynch once suggested, if you are hoping for the economy to drag your stock along, you should probably look elsewhere. He preferred to see the company taking steps to improve its business rather than relying on external forces. This leads us to the second reason to consider CSX Corporation (NYSE:CSX), their operating margin has improved almost a full percentage point since last year. In fact, one reason I’ve favored Union Pacific in the past, was the company’s industry leading operating margin of 30.87%. However, CSX’s margin improved from 28.86% last year, to 29.58% this year. If CSX continues this improvement, they may challenge Union Pacific Corporation (NYSE:UNP) for the lead. In addition, CSX’s performance is now significantly better than Norfolk Southern Corp. (NYSE:NSC)’s operating margin of just 26.6%.